The knee is not only your body’s largest and arguably most important joint, it is also the most injured. In total, the knee is made up of four parts: bones, cartilage, ligaments, and tendons. Bones–In total, three different bones come together to form your knee joint: the thighbone (femur), shinbone (tibia), and kneecap (patella). Articular cartilage–This bit of cartilage is responsible for covering the ends of the femur, tibia, and a part of the patella. Articular cartilage is a slippery gel-like substance that allows the bones of the knee to move smoothly across one another as you bend and straighten your leg. Meniscus—You have 2 menisci in each knee. The meniscus is wedge-shaped and serves the purpose of absorbing the shock created from things like jumping and running. More importantly, it prevents your femur and tibia from banging together. The meniscus is different than articular cartilage because it is tough and rubbery, which helps it stabilize your joint. In most cases, torn knee cartilage is another way of classifying a meniscus tear. Ligaments—These are what connect bones to one another. In essence, your knee’s four main ligaments serve the purpose of holding bones together in order to keep the knee stable at all times. Collateral Ligaments—Found on the sides of your knees. 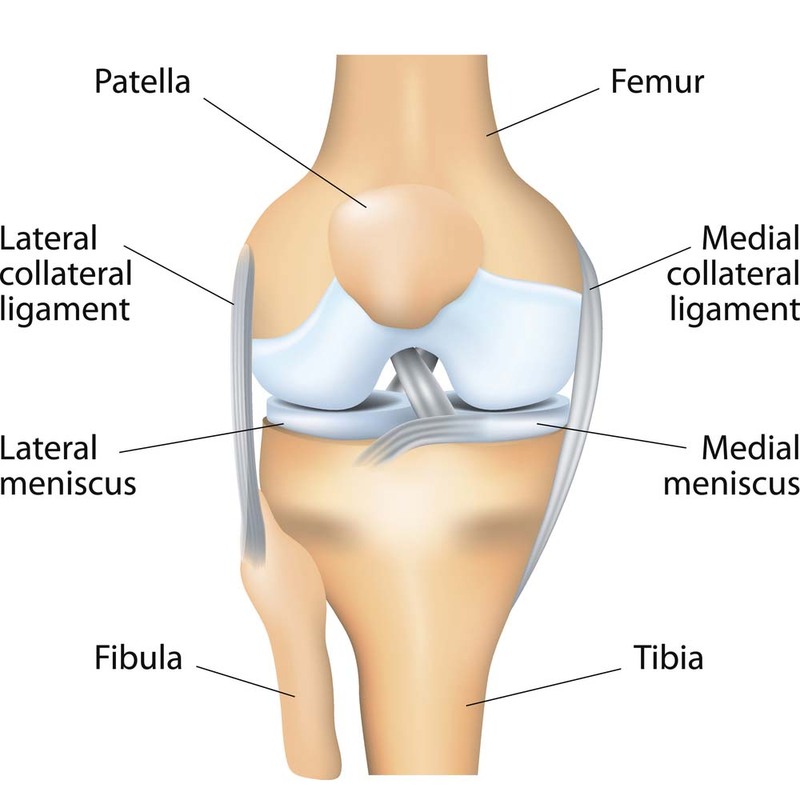 The medial collateral ligament rests inside your knee, while the lateral collateral ligament is positioned on the outside. These ligaments help protect sideways movement and guard against unusual or awkward movements of the knee. Cruciate ligaments—Found within your knee joint, cruciate ligaments cross each other to form an “X.” The “X” features the anterior cruciate ligament in front of the posterior cruciate ligament. Together, these ligaments control forward and backward movement of the knee. Tendons—muscles attach to bones by way of tendons. The quadriceps tendon, referred to simply as the quad, fastens muscles that are in front of the thigh to your patella. 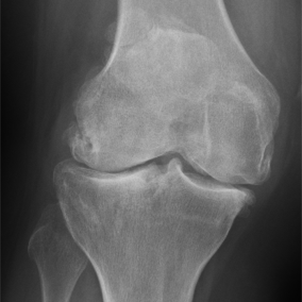 The patellar tendon is responsible for connecting your shinbone and patella. Simply put, arthritis is inflammation/wear in one or more of your joints. In most cases, persons suffering from arthritis will experience pain, swelling, and stiffness of the affected area. No joint is immune from arthritis, but the knee is impacted most often. Arthritis in the knee can make even the simplest, everyday activities difficult and painful. Things as simple as walking or climbing the stairs can become difficult tasks to accomplish. Annually, it is responsible for a lot of lost work time and can seriously inhibit the lives of those it affects. There are many different kinds of arthritis, but the two most common are known as osteoarthritis and rheumatoid arthritis. Primarily, arthritis impacts adults, but it has been known to affect children as well. The most common type of arthritis is known as osteoarthritis, and is degenerative in nature. In other words, it is caused by “wear and tear,” which is why it often impacts those who are 50 years of age and older. 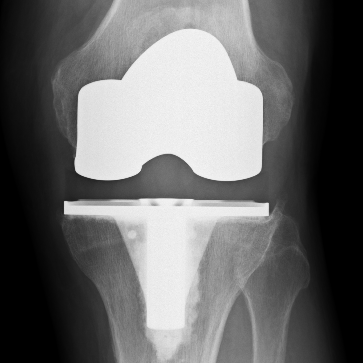 Osteoarthritis is responsible for slowly but surely wearing away the cartilage in your knee. As the cartilage is worn away, it is frayed and rigid, reducing the protective space between bones. Over time, your bones will eventually rub against one another, causing pain and the formation of bone spurs. Osteoarthritis takes a while to develop, and the pain that comes with it intensifies over time. Rheumatoid arthritis is known as a chronic disease that can impact many different joints, including the knee. It is known as being symmetrical, which means that it often impacts the same joint on both sides of the body; such as the left and right knees. If you are impacted by rheumatoid arthritis, you are experiencing a situation where the synovial membrane that shrouds the knee joint begins to enlarge due to swelling. As a result, your knee will feel stiff and painful. Rheumatoid arthritis is an autoimmune disease, which means that it is a disease that sees your own immune system attacking your body’s tissues. Over time, your immune system will damage normal tissues such as cartilage and ligaments, but will eventually soften your bones as well, making them more susceptible to fracture. As the name suggests, post-traumatic arthritis occurs in the wake of an injury to the knee. If you break a bone near the joint, for example, the joint may be damaged in the process and never heal perfectly. This imperfection can be the cause of arthritis, even if it takes years to develop. Ligament injuries, such as a torn meniscus, can also contribute to the onset of post-traumatic arthritis. The most typical symptoms of arthritis in the knee are inflammation and pain. Most often, pain begins gradually and slowly worsens. On occasion, arthritis can set in quickly. In addition to pain and inflammation, these are some other symptoms of arthritis. 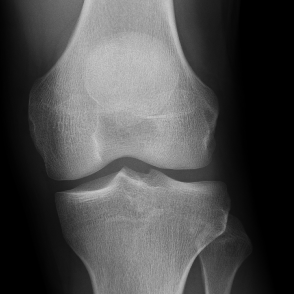 There are many treatments for knee arthritis that include injections, physical therapy, activity modification and oral NSAIDs (nonsteroidal anti-inflammatory drugs such as Ibuprofen), but often times a knee becomes so damaged that surgical intervention is required to restore a patient’s function. 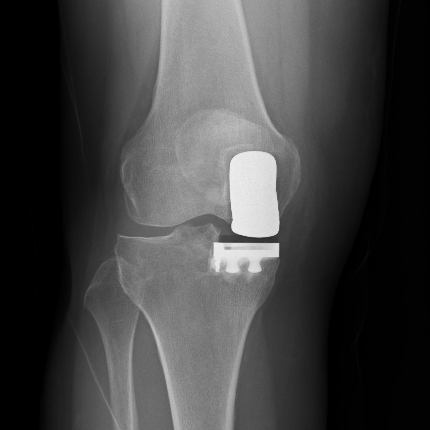 The two most common procedures are total knee arthroplasty (more commonly known as total knee replacement), and unicompartmental knee arthroplasty (more commonly known as a partial knee replacement). Click on the links below to learn more about each of these procedures.